Match three puzzles come in all shapes and sizes and even though there’s hardly any more surprising elements left in the genre you still find them hard to resist. 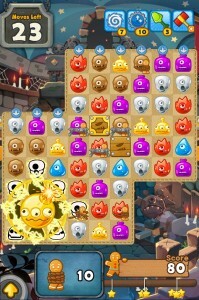 Social game developers PurpleKiwii’s contribution to the genre, Monster Busters is all about matching cute little monsters to save Gingerbread characters who are trapped in towers. 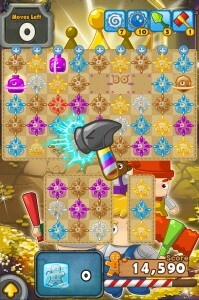 The game has over 3 million Facebook players and its entry on Android should only serve to increase its popularity. 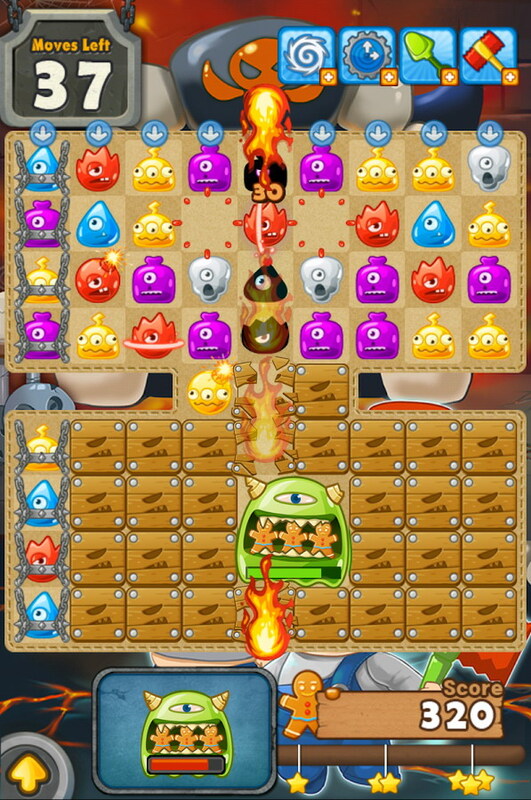 Players will encounter different types of layouts in each level with varying objectives to accomplish every time. 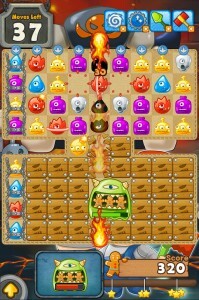 Sometimes, its picking up a certain number of points, at other times, it is defeating certain type of monsters. Matching four or five monsters will unleash special powers such as bombs and hammers that clear whole rows or columns or knock off monsters of a special type. To top off the challenges, you can engage in boss battles. 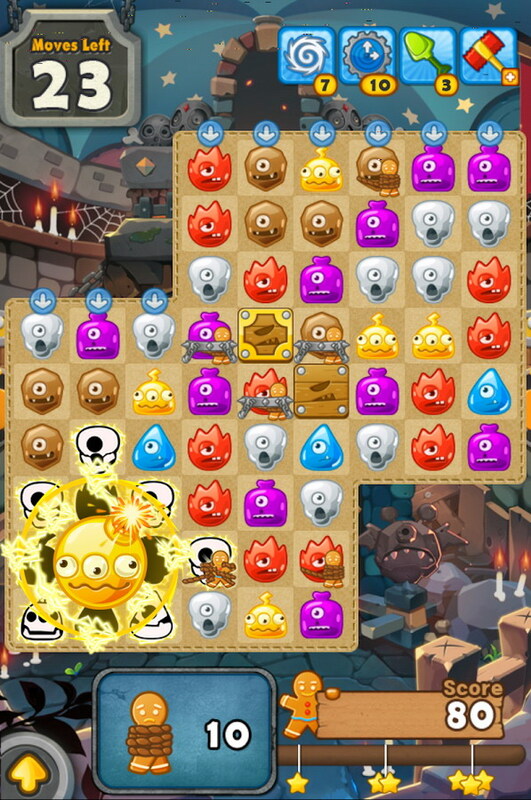 Monster Busters has all the elements of a good match-three puzzle game with a chance for you to compete against friends too. Grab this free game from the Play Store and enjoy tossing some monsters down towers in your free time.